This is the first article as part of a brand new online feature series that we’re calling “A Grand Day Out With“. Here at Singletrack Towers, we get a lot of visits throughout the year from numerous bike, apparel and component companies. Some just pop in to say hello, and others bring in shiny new goodies for us to ogle over. Or better yet, to get dirty. And as you do when someone comes to visit with shiny new goods in tow, we’ll get the coffee machine fired up to enjoy a couple of pre-ride brews at the office, before taking the opportunity to grab some bikes and take our guests out on our local trails. It’s a chance for us all to get out of the office and onto some singletrack, to rip some skids, chat rubbish, and send out a few high-fives before we settle in for a serving of post-ride recovery fish ‘n’ chips back at Singletrack Towers. Because that’s how you mountain bike in the north of England ok? As part of this feature, we’ll be giving you a look at some of the bikes and product we’ve been riding, and in some cases, you’ll also be able to read about our first ride impressions of taking the bikes around our familiar home trails. Getting prepped to ride demo bikes during our day out with Focus. 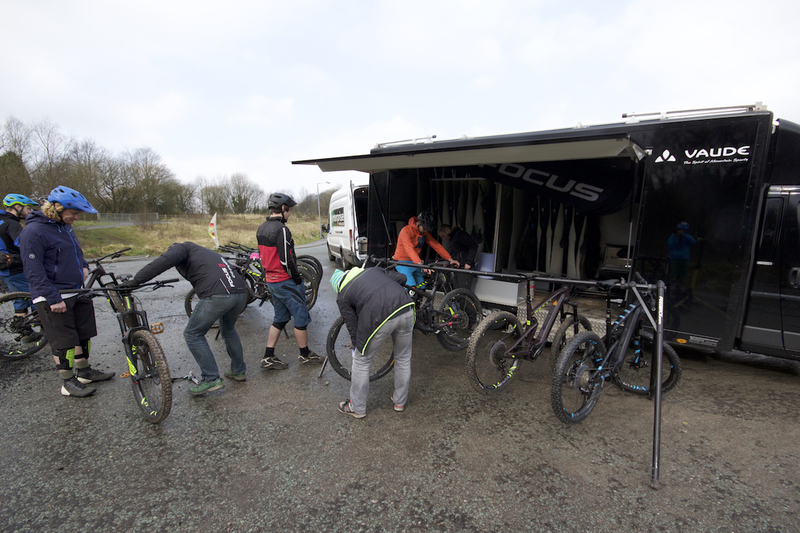 For our first feature, we spent a day out riding with Focus Bikes. About a fortnight ago, the crew from Focus pulled into Calderdale with a huge demo van that had been touring around Europe visiting various dealers and organised test days. The van was chocked full of test bikes in numerous sizes, including the JAM trail bike, the JAM² e-MTB, the Vice, and the Bold hardtail. And so after an unusual amount of planning and organisation on both Focus and our behalf, a bunch of us jumped into the Singletrack Magical Mystery Van out to the Lee Quarry trail centre to do some back-to-back testing of a few of these different bikes. The top-end Focus JAM C SL. This is the Focus JAM C SL. It’s the top-end model in the JAM trail bike series, and it’s rocking 140mm of travel front & rear with 27.5in wheels. 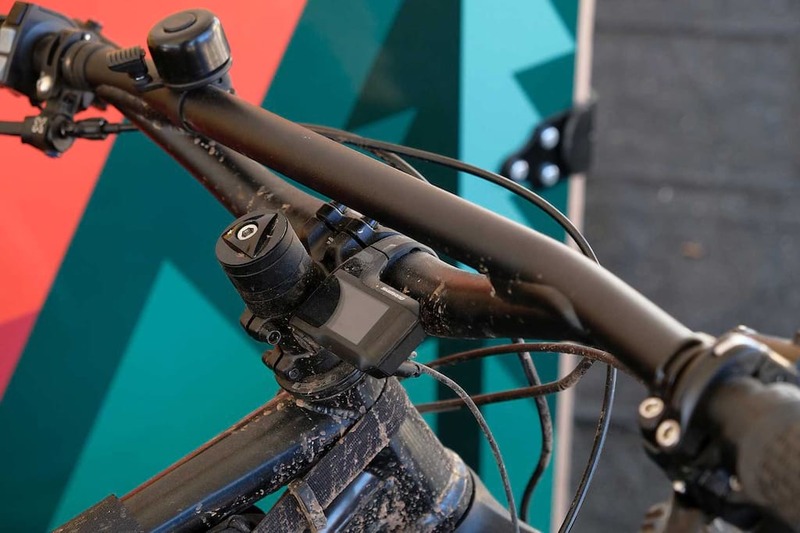 We first laid eyes on the JAM in Morzine last June, where the bike debuted the brand new F.O.L.D linkage that has also been implemented on the O1E full suspension race bike. 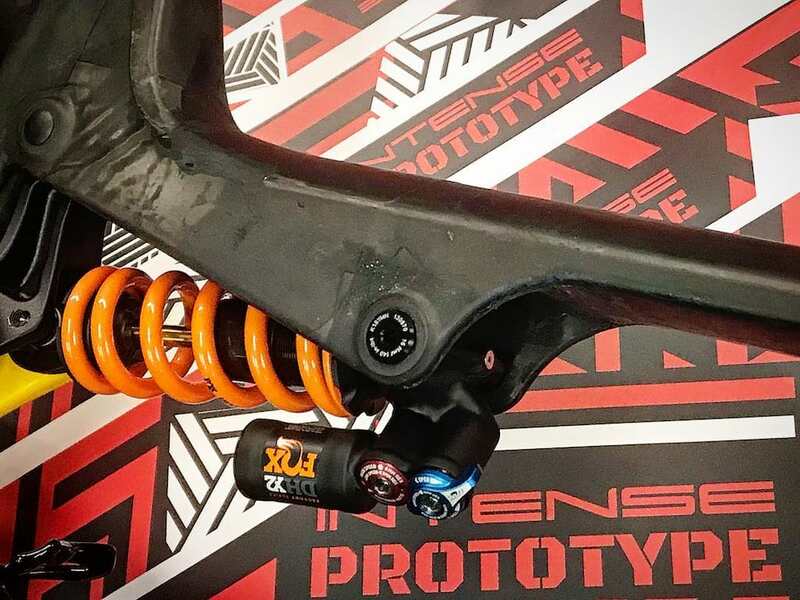 The swingarm rolls on a main pivot just up from the bottom bracket shell, while two small alloy links connect the top of the swingarm to the rear shock. It’s a tidy setup that delivers loads of clearance inside the main triangle to comfortably fit a water bottle, and the dual-rate leverage curve aims to achieve a supple starting stroke for traction and small-bump compliance, while firming up in the latter portion of the travel to assist with bottom-out resistance. 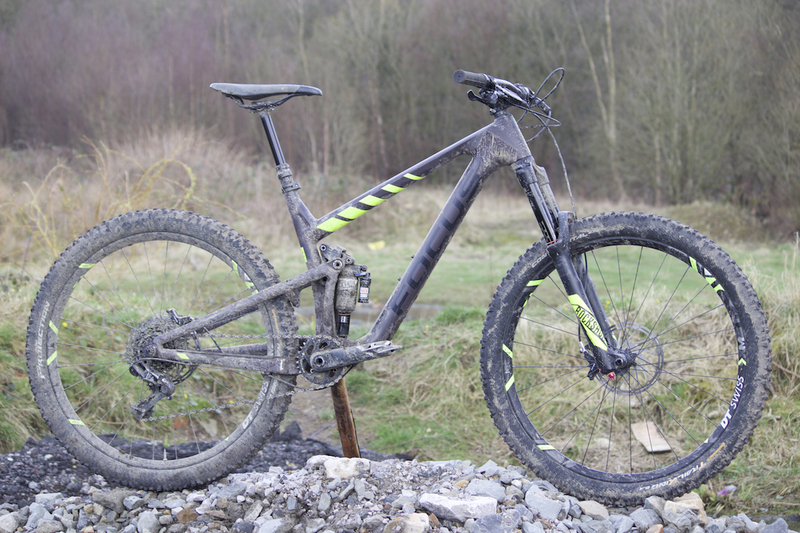 With a piggyback shock and a 150mm travel fork, the Focus JAM C Factory is a little burlier in its spec. Also sitting in the JAM range is the JAM C Factory. Like the SL model, the C Factory is equipped with a carbon fibre front triangle, but subs in an alloy swingarm to decrease cost at not a huge weight penalty. 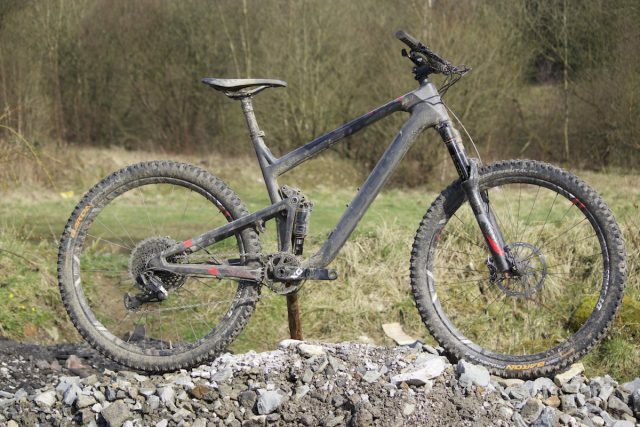 The suspension design is the same, but being the ‘Factory’ model, it’s got a slightly burlier parts spec that upgrades the fork to a bigger 150mm fork, while throwing a piggyback RockShox Monarch Plus into the rear. Geometry-wise, the head angle sits at 66.8° on the JAM, and you’ve got a compact 425mm chainstay length that aims to keep cornering nimble and sharp. Just like the JAM, only zippier. The JAM² also features 140mm of travel and comes in 29in and 27.5+ versions. This is the Focus JAM² trail bike. 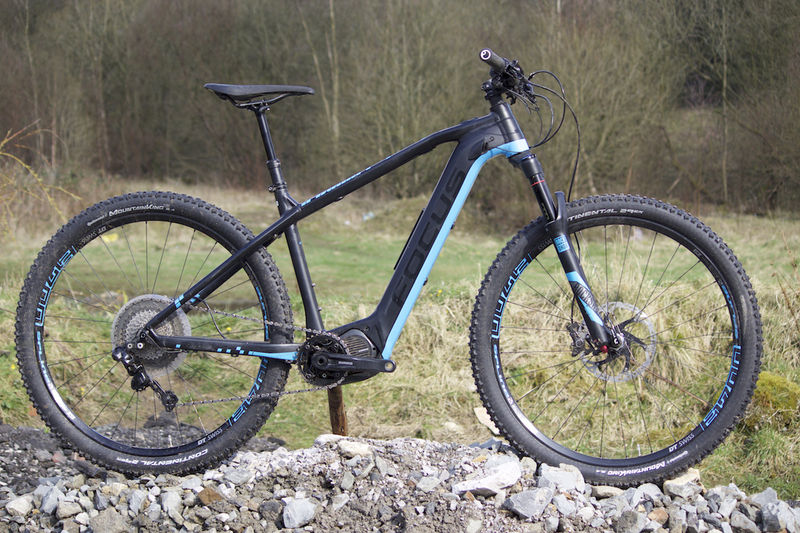 You might recall that we’ve actually ridden and rated this intriguing machine before (you can read Wil’s review of the Focus JAM² here), so we won’t go into too much detail about how it all works. Plus, we’ll have a JAM vs JAM² review coming at you very soon, since we had the chance to back-to-back test both bikes on the same trails during our day out with Focus. In a nutshell, the JAM² is basically the JAM with a Shimano STEPS E8000 motor system. Inside the bottom bracket junction you’ll find the Japanese brand’s 250W motor, which uses torque sensors to measure how much power you’re putting into the pedals, before adding to that power to give you a little extra zip up the climbs. The rechargeable battery is hidden inside the downtube, and is a proprietary unit made by Focus in conjunction with Shimano. There’s lots of cool stuff going on with the JAM² aside from that, so make sure you check out our video on the bike for all the details. 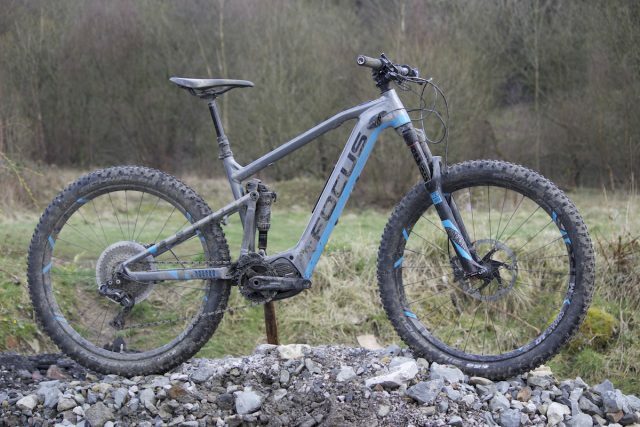 The Focus Bold² – a hardtail trail bike that has a little more ‘go’ on board. Although the JAM and JAM² have been garnering all the attention lately, Focus also has an interesting-looking hardtail in its line up too. Called the Bold, this bike is in essence a hardtail equivalent of the JAM. 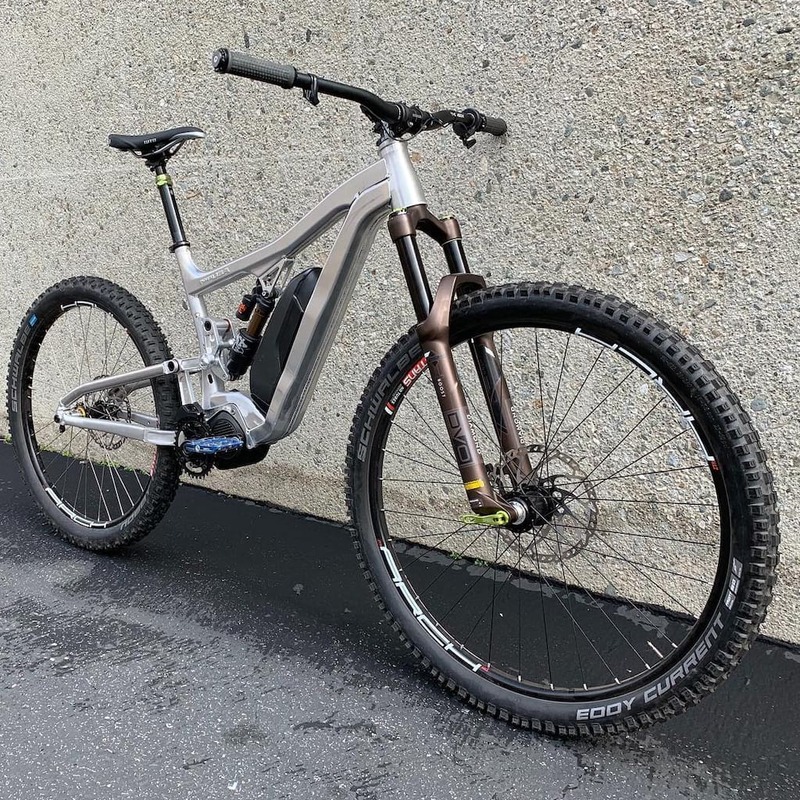 The Bold comes in both regular and e-MTB versions, and the model you’re looking at above is the one that’s rocking the same Shimano STEPS E8000 motor system as the JAM². The Bold can be had in both 29in and 27.5+ flavours, depending on where you ride and how you ride. It’s fitted with a 120mm travel RockShox Yari fork, an internally routed dropper post, and a slick wide-range 1x drivetrain. Focus O1E looks fast just standing still. Red will do that. 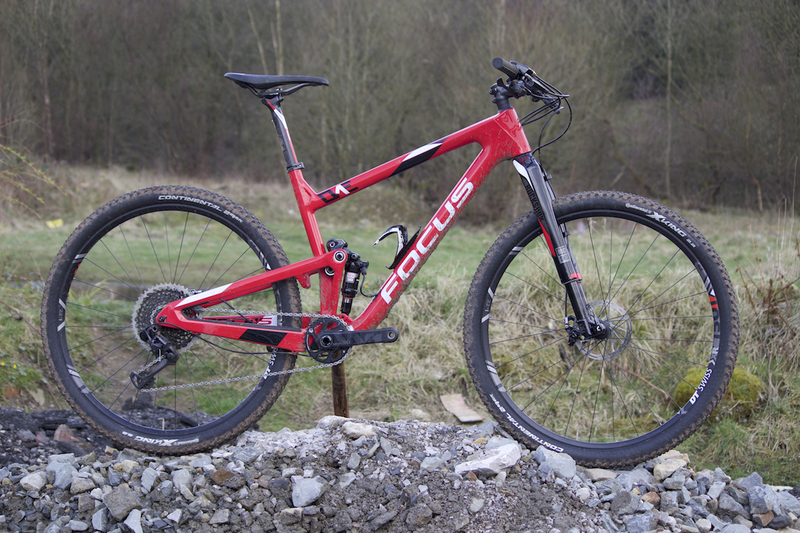 During the launch of the JAM last year, Focus also unveiled its latest full suspension XC race bike called the O1E. The one shown above is the top-of-the-range Team model, and it is dripping with all the very best goodies. Of course there’s a SRAM Eagle 1×12 drivetrain, along with a striking RockShox RS-1 fork on the front. Both the front and rear triangles are crafted from carbon fibre, and the O1E features the same F.O.L.D suspension design as the JAM, albeit with only 100mm of rear wheel travel, and a decidedly more efficient feel underfoot. So that’s a bit of a look at some of the bikes that we were razzing about during the Focus demo day. While we were out at Lee Quarry though, we also called upon the internet wizards to beam a video out to you via Facebook Live – which you can now watch here just below. If you’ve got any questions about the bikes we were riding, or any others in the Focus range, then hit us up in the comments section below. Video: We Answer Your E-MTB Questions!